In this suitcase you will find 9 puzzles of different sizes. 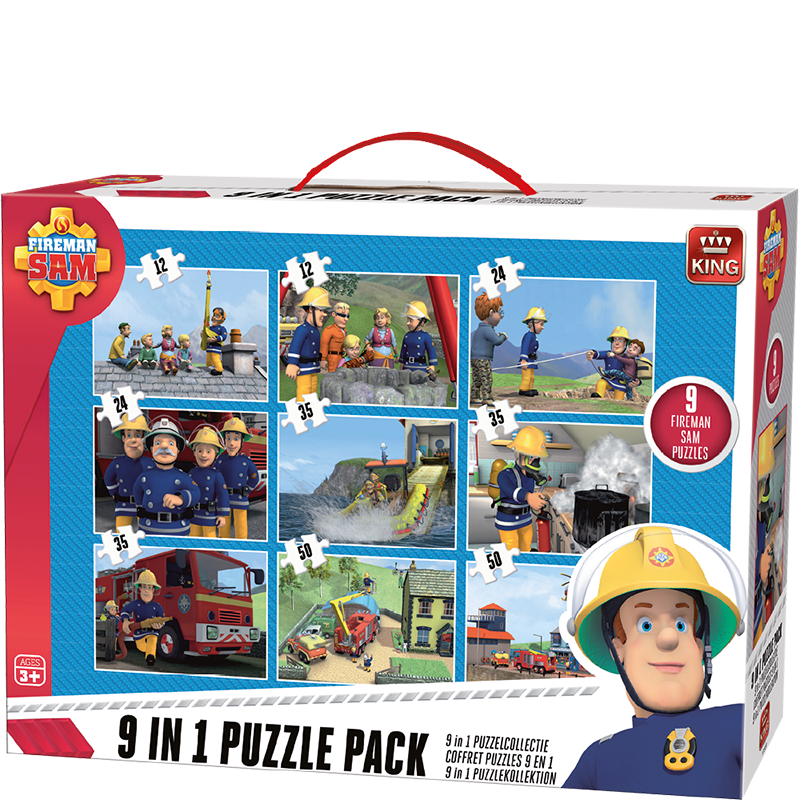 On the puzzles you will find several rescuing situations with Fireman Sam. In the water, in the air and on the ground. Fun puzzles for the younger puzzler.